Running Press Adult, 9780762467617, 144pp. 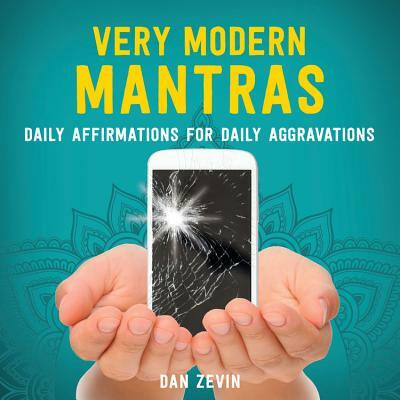 Mindfulness meets the modern world with this collection of tongue-in-cheek chants for those daily moments that drive us insane. For all of us who've crammed yoga, meditation, and self-care into our lives, there's just one thing missing on our daily slog toward serenity: a laugh. With rainbow-free visualizations ripped from real life, Very Modern Mantras will have you mastering the meditations that really matter, like Mantra for Starbucks; Mantra for the Airport Security Line; Mantra for Open-Plan Office, and Mantra for Public Transportation. Finally, a way to find inner peace without losing your sense of humor. Dan Zevin is a Thurber Prize-winning humorist whose books include Dan Gets a Minivan and The Day I Turned Uncool, which were both optioned by Adam Sandler. Dan has been an award-winning humor columnist for the New York Times, a comic commentator for NPR, and a contributor to print and digital editions of The New Yorker, McSweeney's, Rolling Stone, Salon, Real Simple, and The Wall Street Journal.